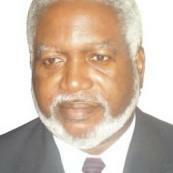 Gabriel Baccus Mathews is the first Liberian politician to advocate multi party democracy in Liberia. Before his death, he strongly supported soccer legend George Weah's quest for the presidency. Before his death, Baccus ( as he was commonly Called) served as leader of the Progressive Alliance of Liberia and the United People's Party. He aws twice Foreign minister of Liberia. As a young man, he led a riot against president Tolbert in 1979 protesting the increase price of rice, the country's staple food.